In need of some extra spending power as we head into the holidays? 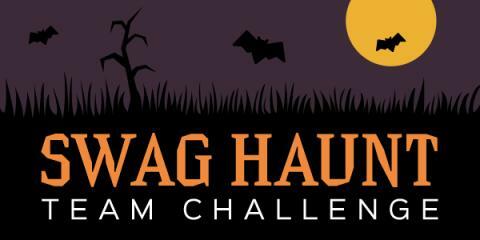 Swagbucks is holding a Swag Haunt Team Challenge to help you earn free gift cards! Not only that, but if you sign up under me this month and earn 300 SB before November 1st, you'll get a 300 SB bonus! ...and members of the 5th place team will receive a 10 Sb Swag Up Rebate.